When the temperatures become pleasant and the sun starts shining again, you can expect miracles for your garden. Everything grows and blooms. 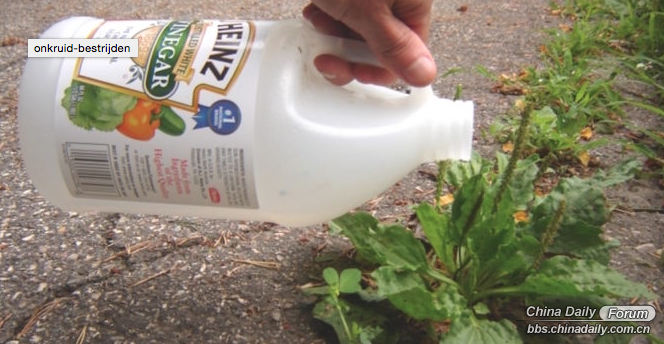 Unfortunately not only your plants and flowers .. Weeds too .. Before you get to the chemicals and expensive weed killers, first read the following tips. 1. Hot water With this tip, all the weeds will melt like snow in the sun. Simply pour a jar of boiling hot water over the weeds. Of course, be careful with your beautiful plants and flowers, because such a warm bath is not pleasant for them. Physical means are always better than any chemical one if considering environment protection! This is first time I have heard that boiling water is used for getting rid of weeds! You are clever! Some people enjoy their garden when it looks nice I do, even though I am not a gardener. I have a gardener attend one morning every two weeks and when he's finished I am please to see it.